A huge proportion of our B2B end users do not work with Kaspersky Lab directly. They are, in fact, customers of our partners: resellers, service and support providers, system integrators, resellers, system integrators, training centers, OEMs, and more. When talking about their expertise, they usually mention having “silver” or “platinum” status in addition to their specializations. Now, we have launched a new partner program called Kaspersky United, and thought that it would be a good time to explain to the customers of our partners — end customers — what partnership status really means. 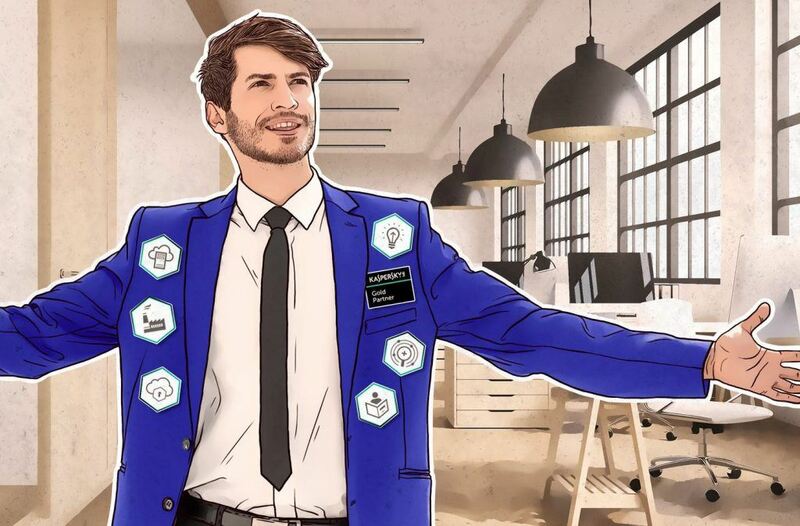 First of all, you should know that we are updating our partner program not only to attract more partners, but also to enable them to develop and grow their security expertise. The new program will provide an opportunity for partners to develop in-depth knowledge in specific solution sets so they can offer customers specialized IT security solutions and services. In other words, it was made to benefit B2B end customers as well. So, what exactly does it mean for a company to be a certified partner of Kaspersky Lab? First of all, it means the company does not just sell our products, but also that it has access to our experts. Employees can attend our technical training sessions, online and in person; they have access to our technical support including dedicated expert teams. In our new partner program, we still have four partnership tiers: Registered, Silver, Gold, and Platinum. 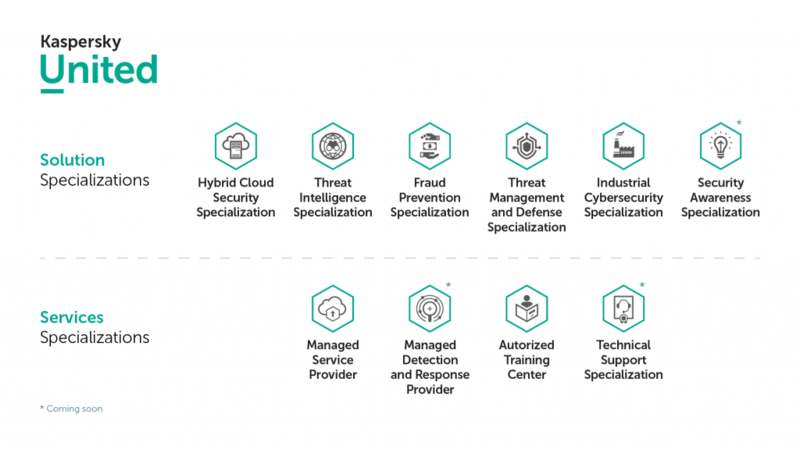 Generally, the level depends on revenue from sales of Kaspersky Lab products and services, as well as qualified expertise. Consequently, higher status reflects greater experience with Kaspersky Lab products and services. Platinum and Gold partners have access to beta programs, so they can get early access to our new releases. Additionally Platinum partners have opportunities to provide direct feedback to our R&D specialists. The latter may sound too technical to be of real benefit, but in fact, it means that partners can make our products better suit the needs of end customers. The really new feature here is specializations. Now, our partners can not only receive general training about our portfolio or mainstream endpoint protection solutions, but they can also specialize in one or several spheres. In particular, they can access in-depth technical information about their chosen specialization including installation, Proof of Concept and troubleshooting guidelines, and feature descriptions. They also benefit from access to prioritized technical support through a dedicated team within Kaspersky Lab, which means that they can provide expert support more efficiently. The reason for this development is that our portfolio is transforming to meet the cybersecurity demands of customers of various industries and sizes. We understand that our partners’ businesses change according to the demands of their clients and that, for example, if their clients prefer cloud solutions and security-as-a-service models, we need to provide them with the required instruments and expertise. That is why our offer is no longer limited to endpoint protection; we offer solutions to resist targeted attacks, prevent fraud, and protect industrial facilities. Any of our partners can apply for any enterprise solution specialization. If they have received a specialization, that means their employees have completed training courses and obtained the necessary certification. In short, we can confirm that the partner has experts on staff. To locate a partner in your region, use our interactive “Find a partner” tool.